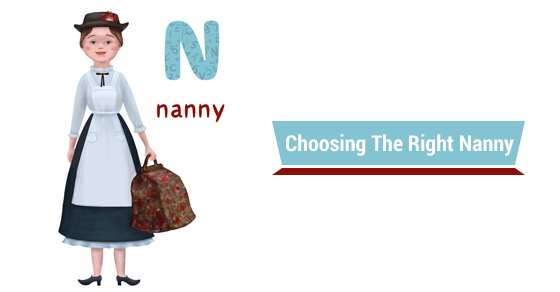 With a professional, nanny agency you have a much better chance to be paired with someone who’s nanny abilities are superior to others in the industry. But when you’re hiring a nanny on your own, it’s your responsibility to ensure you make the right decision. Observing your potential nanny’s interaction with your children, assessing her attitude while on the job, and her judgement and ability to care for your children will give you a steadfast answer as to whether or not you’ve made the right choice. A good nanny will take advantage of opportunities to teach kids new things, and show them new experiences. These aren’t hard to think of – outings to the nearby park, going on a hike, attending children’s events in the community and even journeys to a child-friendly museum are all good ideas here. If they’re showing commitment to helping develop your child’s enthusiasm towards learning about the world, they’ll be sure to leave a positive impact on their life. Even if children are too young to remember the outings or lessons, it’s still instilling a curiosity to learn, which will carry over to their scholastic lives. A good nanny also doesn’t just park your children in front of the television. Instead, she will be constantly interacting with them, playing games, helping them learn new things, and even getting a bit of exercise. Even simple tasks like helping prepare lunch or breakfast are signs your child is being engaged. If your nanny is exceptional, she’ll be eager every day to see your children. This is something that can be hard to assess until she’s actually working for you, but people always know what it is when they see it. The nanny will be engaged and engaging with your child, and the energy she has to be with children will be genuine. A great nanny will be both respectful and warm to a child. This means that when the child misbehaves, the nanny doesn’t scream, but rather calmly explains to them why what they did was wrong. This level of compassionate understanding comes from truly knowing how children are emotionally and developmentally. As a result, how the nanny responds to situations with your child will be measured and appropriate without being angry or too strict of a disciplinarian. To avoid hiring nannies by trial and error, connect with Diamond Personnel. We’ll match you with the best nannies who will help your children grow every day!